It's Bugaboo Stamps 7th Birthday, and I am proud to say I've been with them since the very start! It's been a wild, and wonderful seven years! I'm so blessed to be a part of such an awesome team of creative folks! 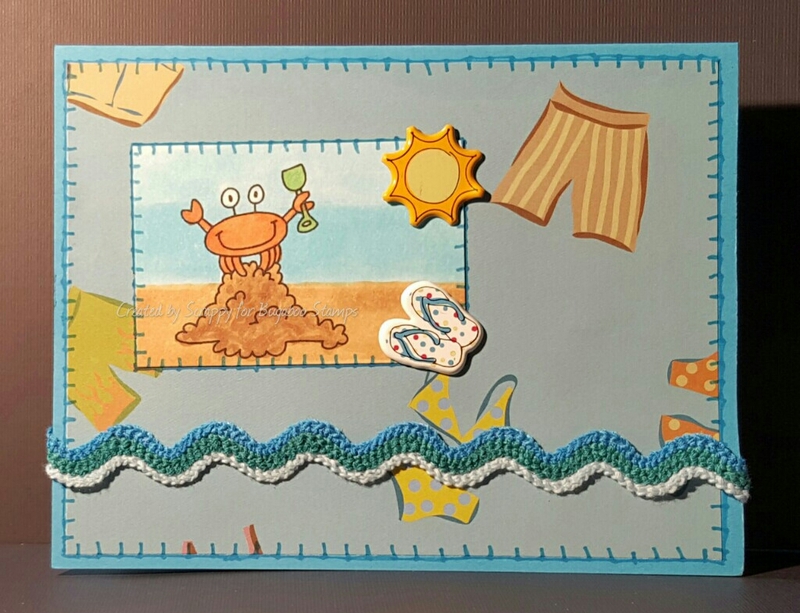 To celebrate, the Bugaboo Stamps Design Team is pulling out all of the stops! We will have a new, and fantastic challenge everyday this week! Today we are challenging you to use our photo/theme 'Under the Sea'. So get your creative juices flowing and show us what you've got HERE! 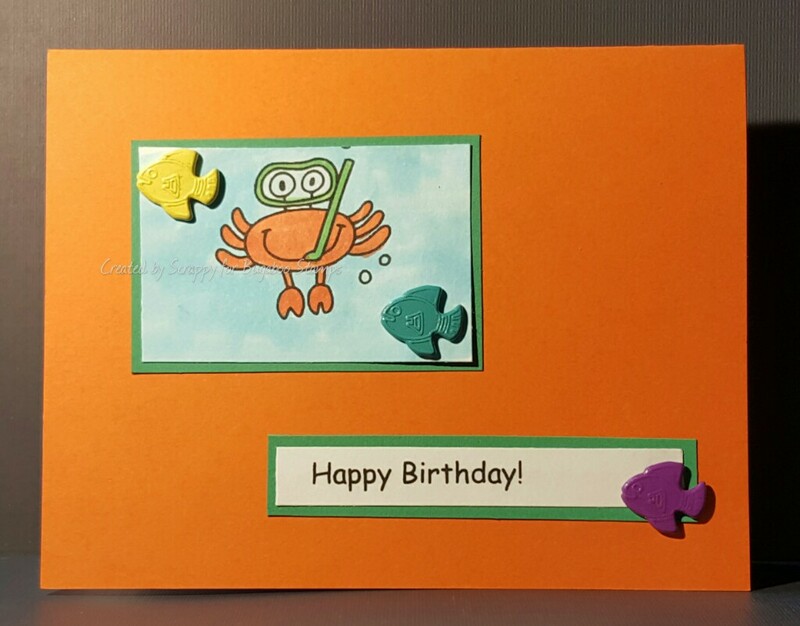 Check out my card featuring our theme and Bugaboo Stamps Crab - Scuba below, then head over to join the fun for a chance to win some generous prizes!